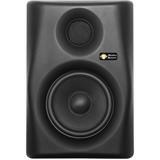 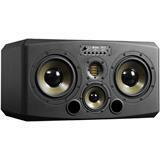 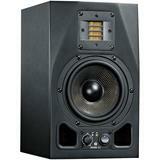 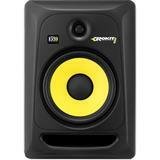 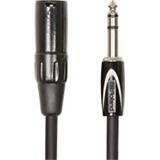 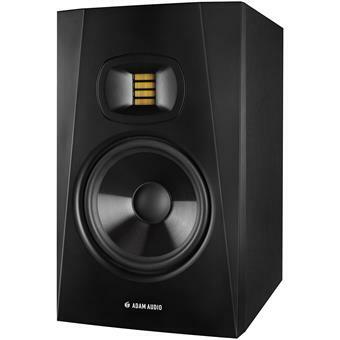 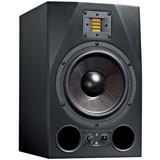 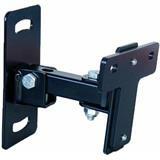 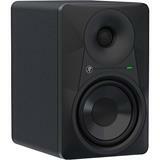 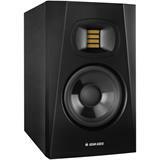 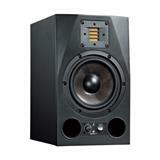 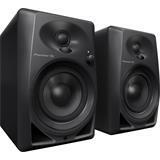 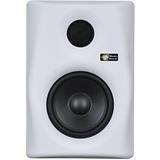 The T7V is a two-way studio monitor designed for vertical use in a nearfield application. 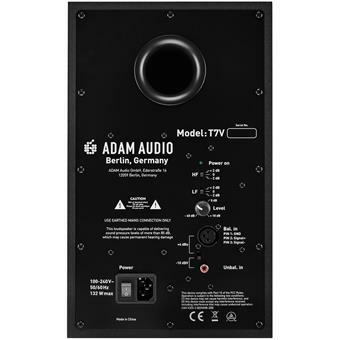 The Adam T7V features a 7” woofer that provides bass extension down to 39 Hz, while the U-ART tweeter’s diaphragm provides pristine and extended high-frequency response up to 25 kHz – virtually unheard of in monitors in this price range. 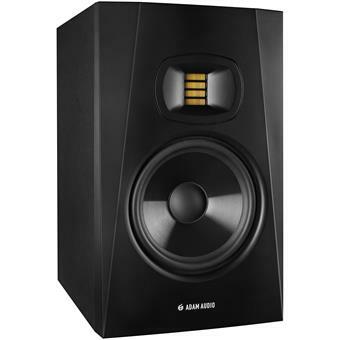 The U-ART tweeter is fitted to a precision waveguide with the same dispersion-control attributes as the High Frequency Propagation (HPS) waveguide used in ADAM Audio’s flagship S Series studio monitors. 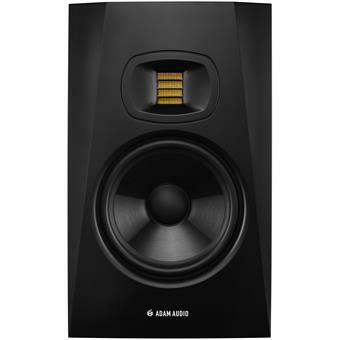 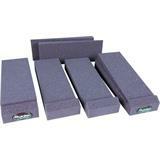 The waveguide’s highly uniform dispersion of high frequencies provides an incredibly wide sweet spot that frees you from being glued to a rigid mix position while working. 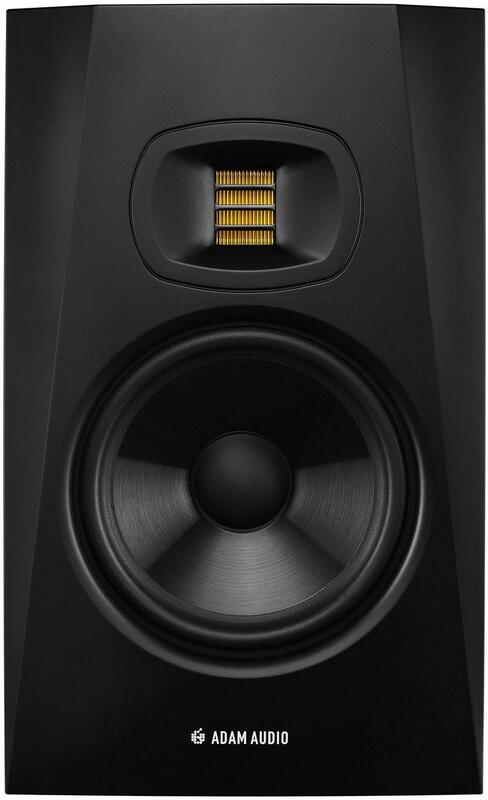 On the rear side of the T7V’s beveled cabinet, a rear-firing bass reflex port joins a sturdy metal backplate that’s home to the analog input connections. 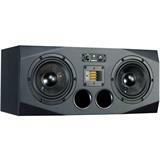 The U-ART tweeter is powered by a 20 W Class-D amp, while a 50 W Class-D amp serves the woofer. 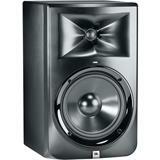 These new powerhouses yield an impressive maximum of 110 dB SPL per pair. 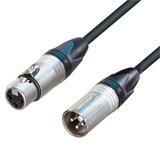 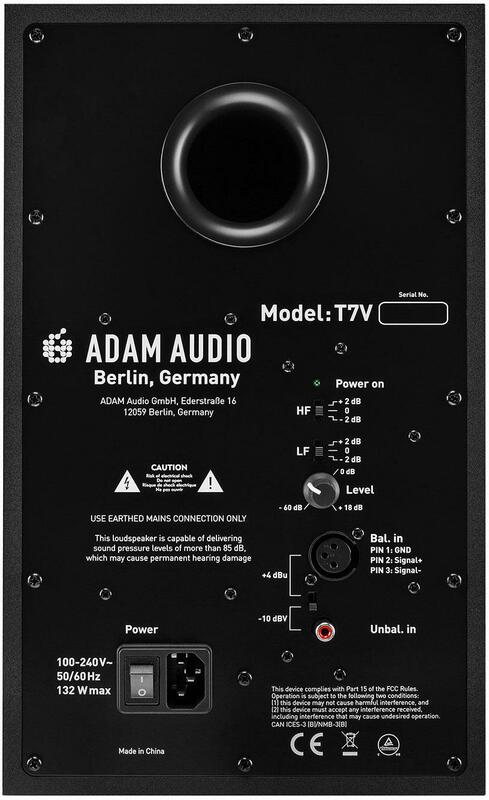 The wide frequency response, high dynamic range, excellent transient response, wide sweet spot and small footprints make the T7V perfectly suited for use in small control rooms for music production, video post-production and broadcast production – a great fit for the modest budgets that many facilities need to work with. 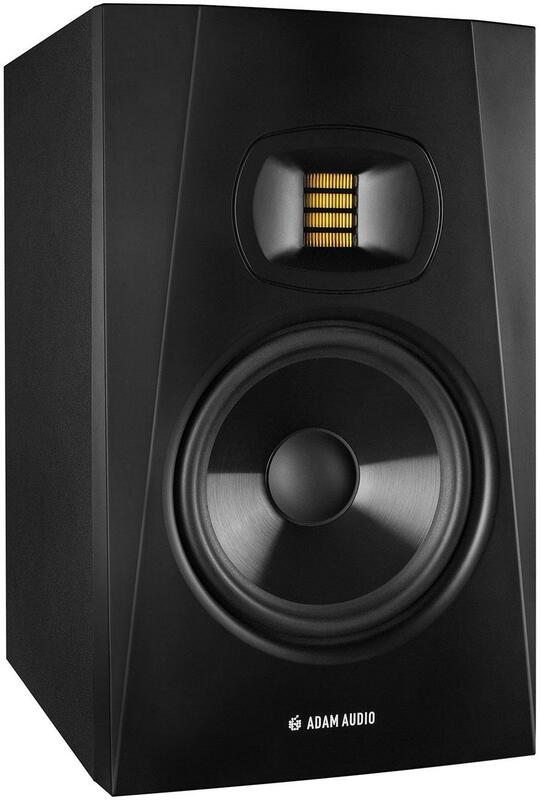 ja echt geweldig ! 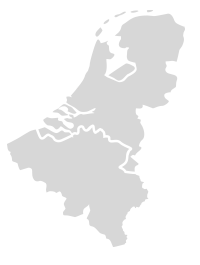 helemaal geen minpunten ! 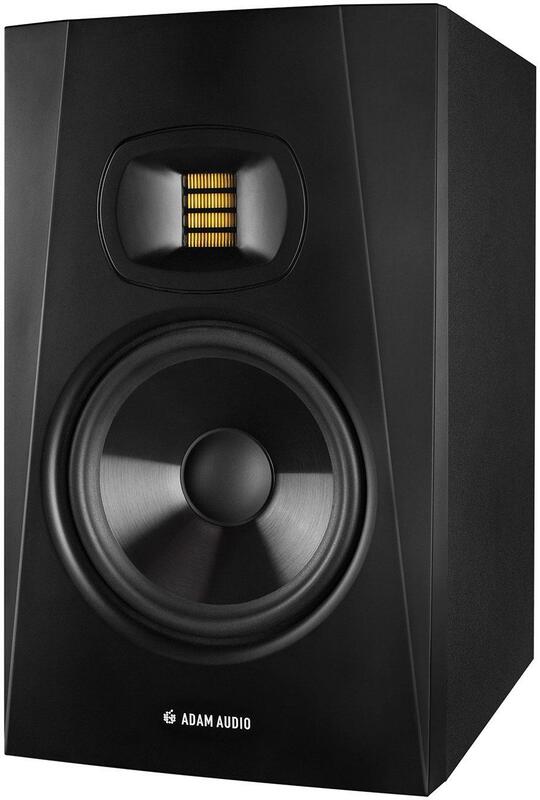 ben er super blij mee !